UN Day, 24 October, this year is marked by preparations for a changing of the guard. The ten years of Ban Ki-moon as Secretary-General will give way on one January 2017 to the new Secretary- General, Antonio Guterres, who was during the same ten-year period the UN High Commissioner for Refugees. As with the changing of the guard in front of a palace or national monument, the persons change but the guards have the same uniform. 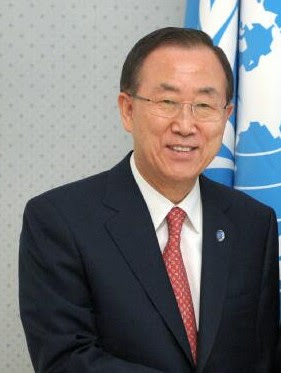 Ban Ki-moon brought his long experience in South Korean diplomacy and a certain non-confrontational Asian style – somewhat similar to that of the Berman U Thant- to the UN. (1) The major road marks of UN action during his leadership of the organization were related to socio-economic development: the setting of the 2015-2030 Sustainable Development Goals and the Paris Agreement on Climate Change. Both agreements are important and needed a good deal of “behind the meeting hall” efforts to reach consensus. However development goals and anti-poverty measures have been relatively the same since the early 1960s when the former African colonies joined the UN. As has been said, setting goals is relatively simple, reaching them is more difficult. Development is at the heart of the UN system – the UN and its programmes and the major Specialized Agencies (FAO, ILO, WHO, UNESCO) as well as the two financial bodies (the World Bank and the IMF). There are issues of coordination and overlap of tasks, but basically the development efforts continue with few changes. The same steady continuation can be said to be true of the UN's human rights efforts. The international norms have been set, but the UN Secretariat has relatively few ways of control or pressure on what member States do in the human rights field. In keeping with the development focus of the UN system, there has been a somewhat greater emphasis on socio-economic rights and the fight against poverty, but most of these goals had also been set earlier. The reputation of the UN Secretary General most often rests on peace-making and conflict resolution. The UN was designed in 1945 as a bulwark against invasion of one State by another on the model of the Second World War. In today's world, security is more often threatened rather by forces acting trans-nationally such as ISIS or by the internal disintegration of a State on the model of Somalia. On the “peace front” there have been no breakthroughs or radical improvements under Ban Ki-moon. There has been some increase in combined UN-regional organization- basically the African Union – peace-keeping missions, but with little increased impact on armed conflict resolution. UN military can keep people apart by controlling a road as they do in the Central African Republic, but the military can do little to bring people together which requires non-military skills and techniques. 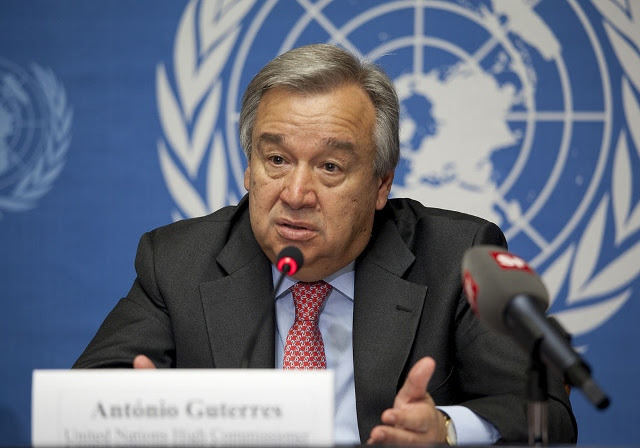 The leadership of Antonio Guterres as High Commissioner for Refugees was appreciated by many in the UN system. He faced an unprecedented flow of refugees without the funds necessary nor much cooperation from governments. He was confronted with the need to deal with the armed conflicts which cause the refugee flows. 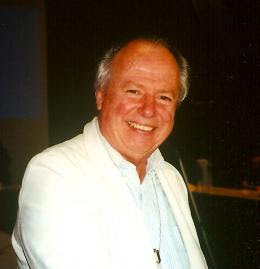 He was able to develop strong cooperation with non-governmental organizations which are at the heart of work with refugees, their care and their re-settlement. He had good working relations with his staff as well as with the diplomatic milieu. Thus many of us who have close relations with the UN system have high hopes for the role that Antonio Guterres will play. The UN in New York has recently taken the comic strip character of Wonder Woman as a role model for the equality and dynamism of women. Unfortunately, there are no Wonder Woman or Superman in real UN life. Overly high expectations of what one individual can accomplish can lead to disappointment. We must accompany Antonio Guterres with our encouragement, but more important, we need to see how non-governmental organizations can facilitate reaching UN goals.